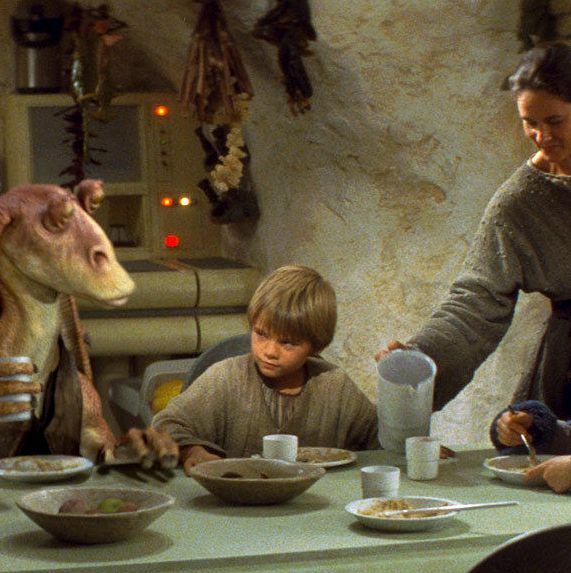 Star Wars has always been big on merchandising: If George Lucas’s intellectual property could be spun off into a tangible good, it’s already happened. While that ultracapitalistic strategy has yielded a deluge of expected products and pricey frivolities, it has also provided fans with an array of actually useful Star Wars home goods — dishes, bed sets, décor, party supplies, even outdoor furniture — that enables enthusiasts to showcase their affinity without sacrificing practicality. 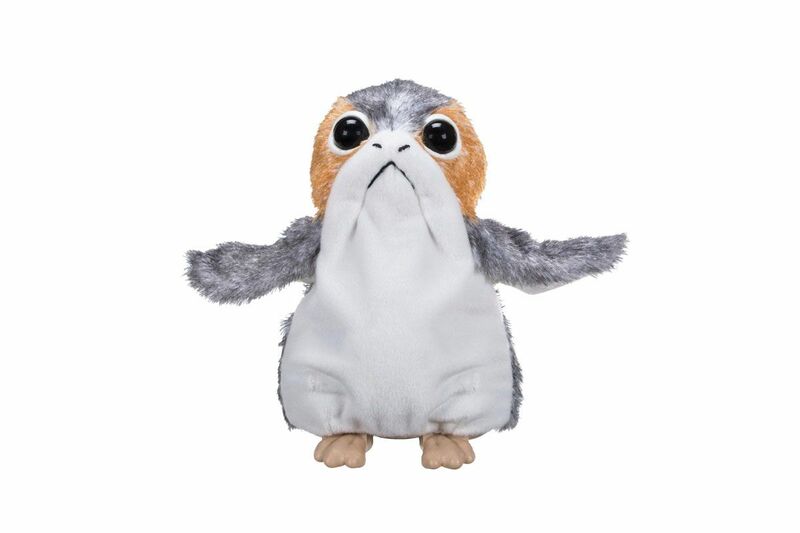 If you’re looking for a gift for a diehard fan, or simply want a Porg–tinged overhaul of your home décor, here’s a 101-item guide to outfitting every room of the house. 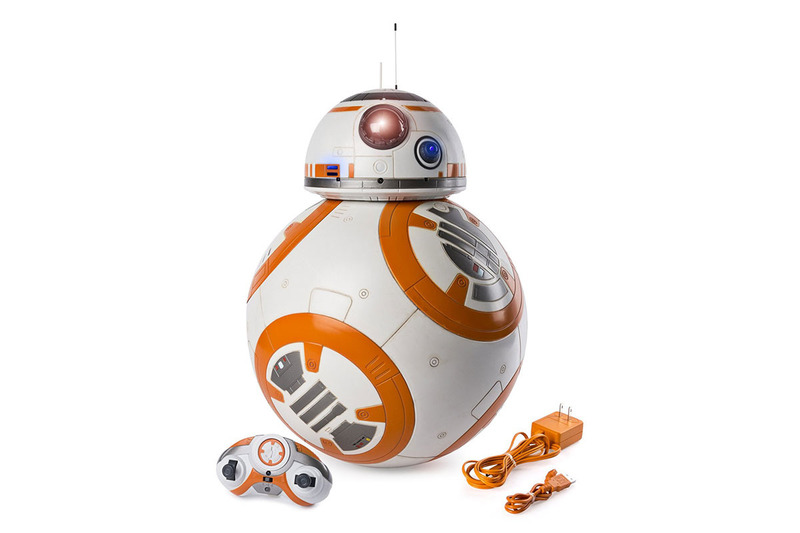 This Force Awakens droid is so adorable that you just want to pet him like a puppy. This lotion dispenser comes close enough and it helps you stay moisturized, which seems like a fair trade-off. If you really want to make your bathroom a shrine to BB-8, here’s a matching cotton rug that won’t slide around like the robot does. Unlike that time Luke, Leia, and Han got caught in the trash compactor, nobody should have issues with this Darth Vader and TIE Fighter–themed wastebasket. Don’t have space for a life-size replica of Han frozen in carbonite? Try this 71-inch shower curtain and hang it “like some trophy,” as he says. Curtain hooks included. Forget the Force — the water pressure with this three-setting Vader showerhead is all anyone needs. There’s also a fixed version with R2-D2 that includes most of the same features. Why go for his-and-hers towels, when you can dry off with one of the most memorable, gruffly romantic scenes in the whole series? For kids, bath time will be a lot more fun and enjoyable when they can dry off and pretend to be one of the galaxy’s greatest Sith Lords. For parents … well, that depends on how evil the kid is. 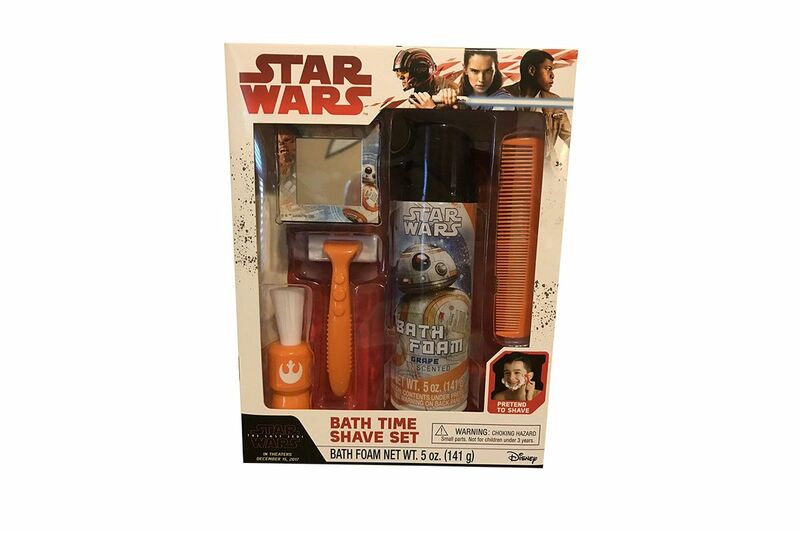 For anyone who doesn’t want a beard like Last Jedi Luke’s, snag this Chewie and BB-8-themed shaving set that includes a razor, grape-scented foam, a mirror, a brush, and a comb. In the Star Wars expanded universe, how many times has a character slipped and fallen somewhere in the snow or jungle? Avoid a similar mistake with this suction-cup bathmat. Get nice and clean with this six-pack of terry washcloths that feature the faces of Darth Vader, R2-D2, and a stormtrooper. Sit down on a cold toilet lid in the winter and you might as well be on Hoth. This fleece cover set, which fits standard and elongated thrones, will prevent any chilly surprises. Especially in the winter, anyone with dry skin could benefit from this mildew-fighting humidifier. 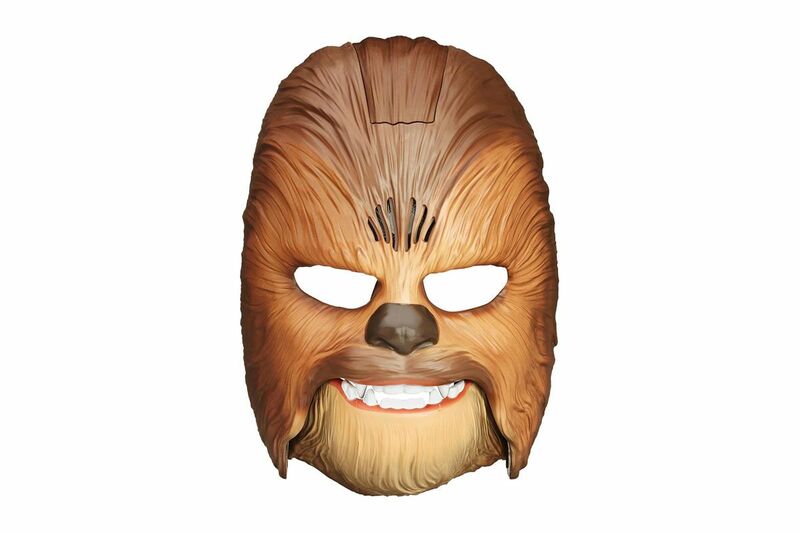 Keep your complexion fresh and avoid looking like the unmasked Vader. 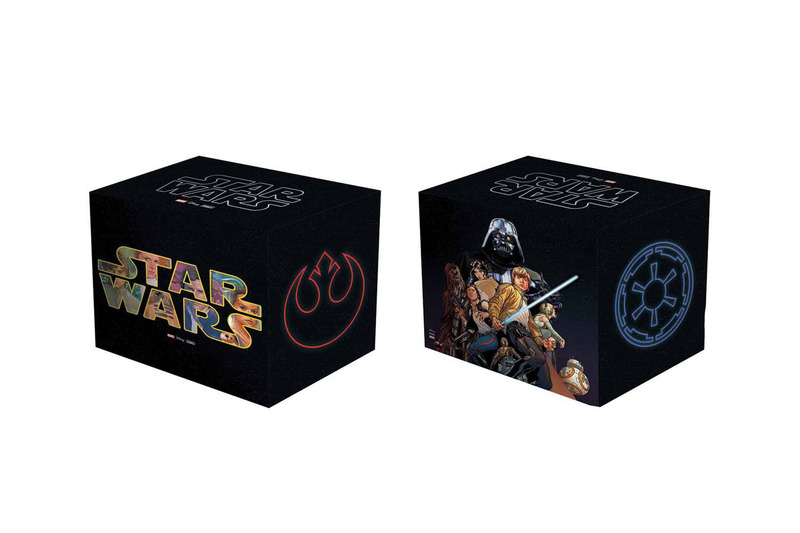 Available in full and twin sizes, these sets feature a selection of images from the saga’s best fight scenes. Each set includes a fitted sheet, flat sheet, and two pillowcases. Perfect for a child’s bedroom, this hamper holds a decent amount of clothes, collapses for easier storage, and comes with a rounded hood to keep the dirty laundry out of sight. 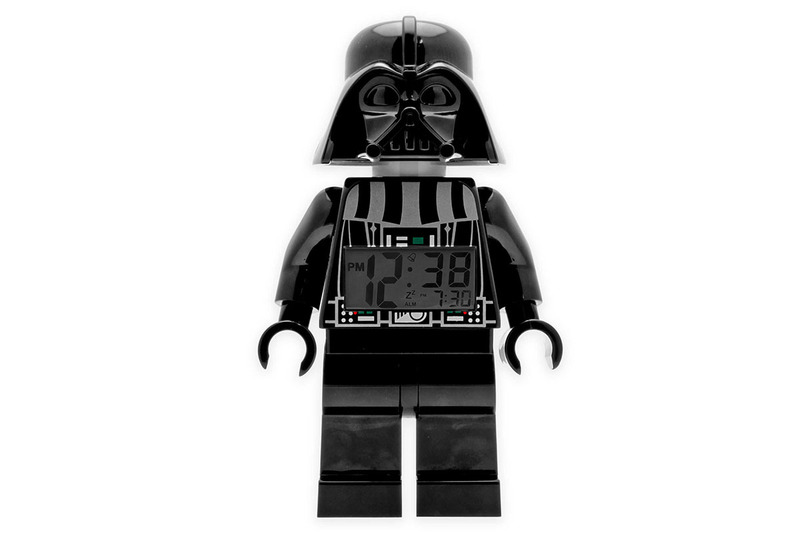 Who wouldn’t want to wake up every morning with this cute Lego Vader alarm clock? Bonus: If you hit him on the head, you can snooze for a few more minutes. Even the Jedi need help organizing their stuff. Although this five-piece trunk set runs a bit on the small side, it’s a good, stylish option for toys and clothes. 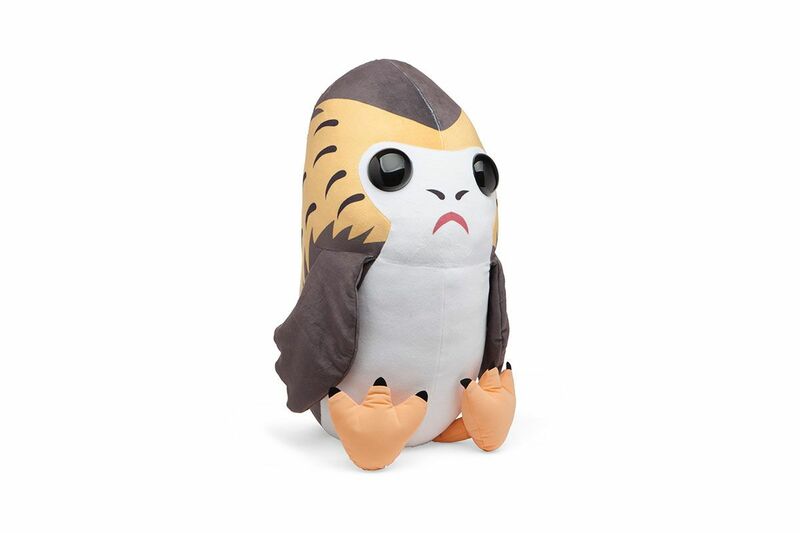 The poor little thing looks terrified, so give it to someone who’ll snuggle this 16-inch pillow. 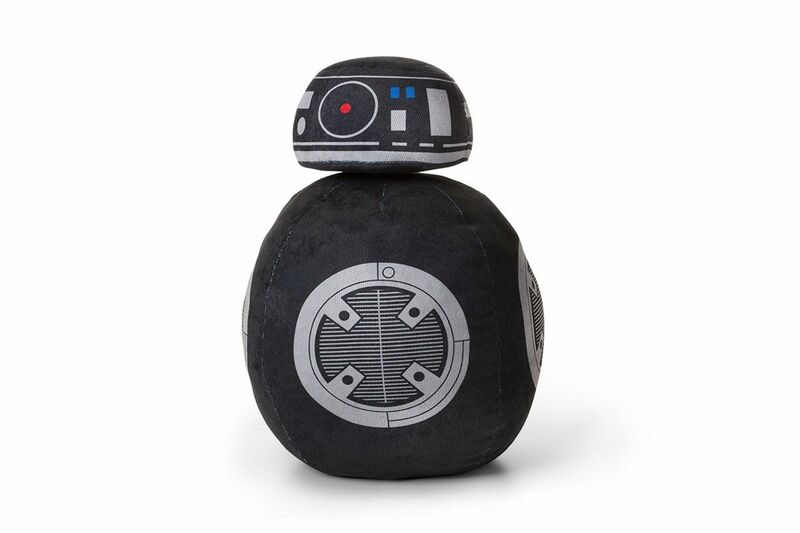 It’s a fact that BB-8 is adorable, but this First Order droid is kind of cute, too, if you want to accentuate someone’s bed with a potentially evil bot. It’s like a fanny pack, but smaller and cuter. An elegant accessory from a distance, and a conversation piece up close. 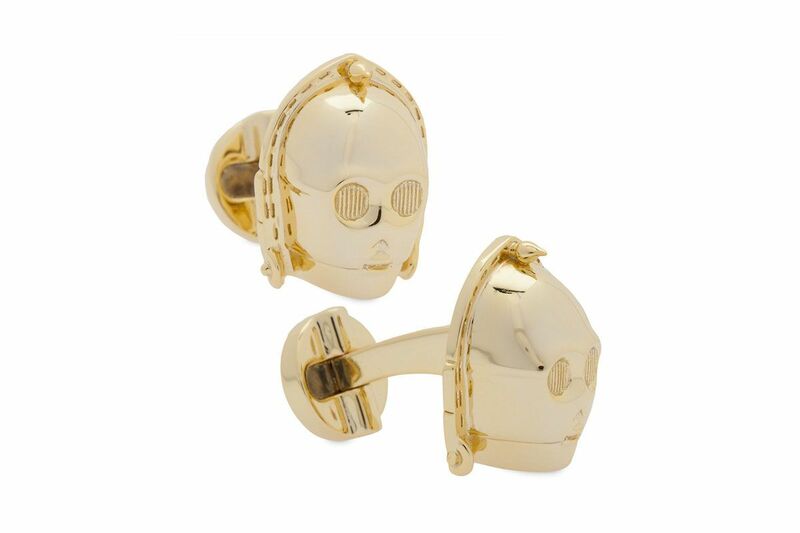 They’re incredibly detailed, yet still understated as far as cufflinks go. 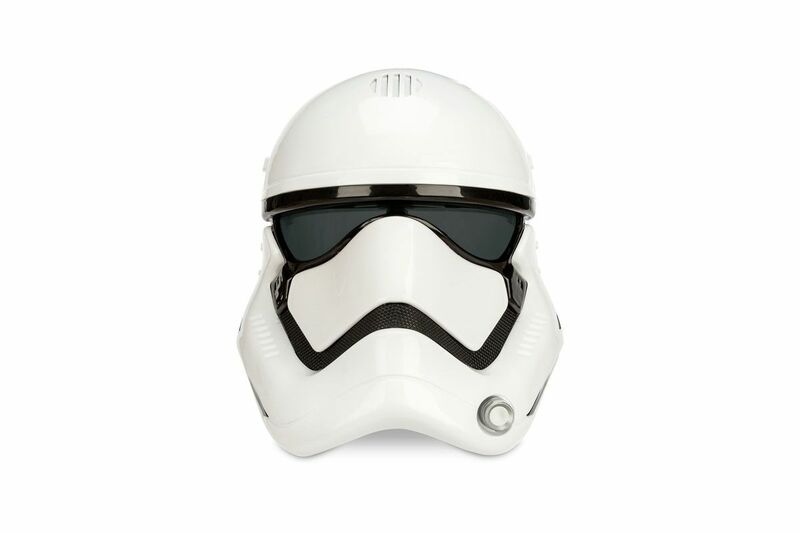 Cheaper alternatives include Vader and stormtrooper versions. 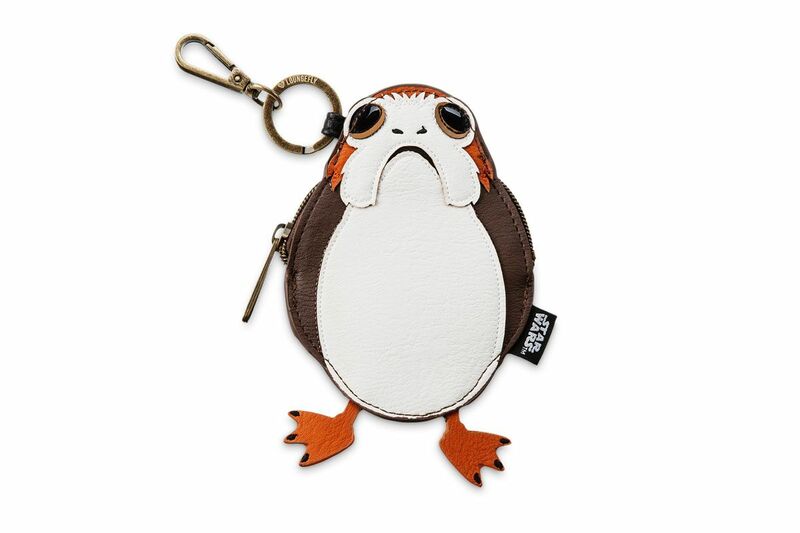 It’s too small for a laptop, but you can carry a light load with this bag, which makes it look like Chewie and the Porg are clinging to you. 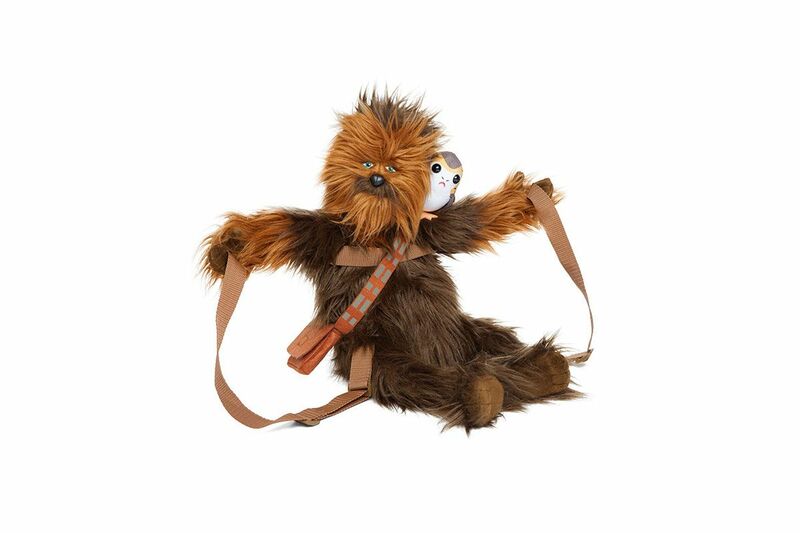 ﻿Surprisingly, this backpack version of the tiny critter can fit more than its Chewbacca-including counterpart. 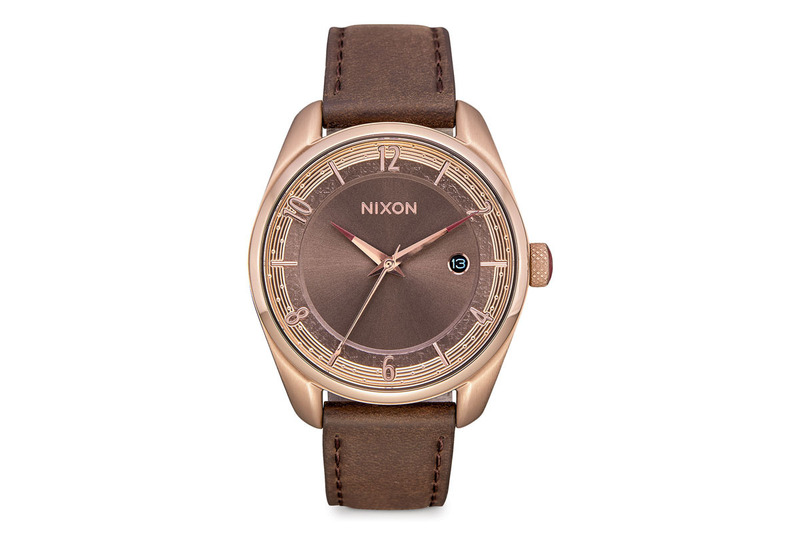 Great for someone on the go. Help someone be the next Chewbacca Mom. We’re sure the video will be a hit at Christmas. 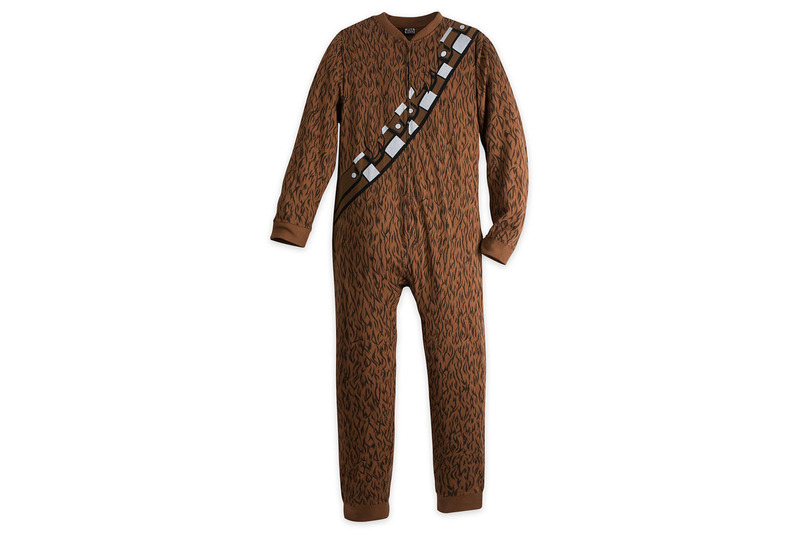 This one-piece pajama is as close as anyone can get to feeling the embrace of a friendly Wookiee. 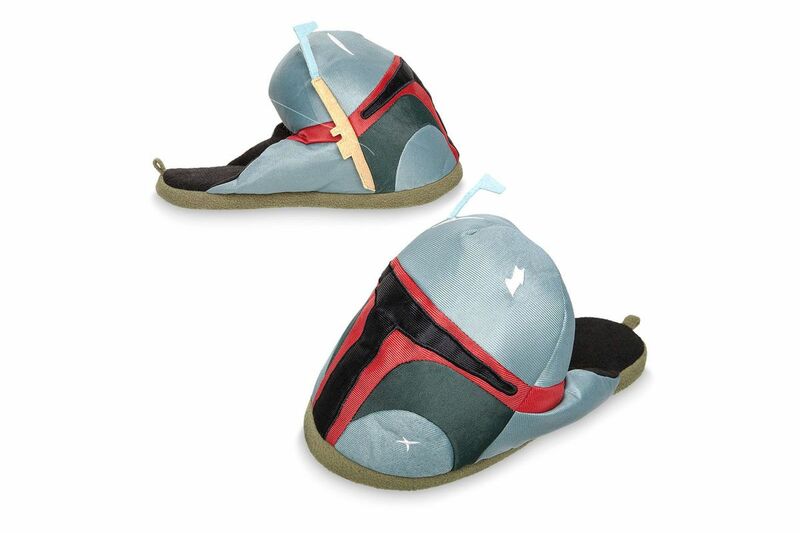 Help your pal relax in a pair of foam slippers designed to resemble everyone’s favorite galactic bounty hunter. 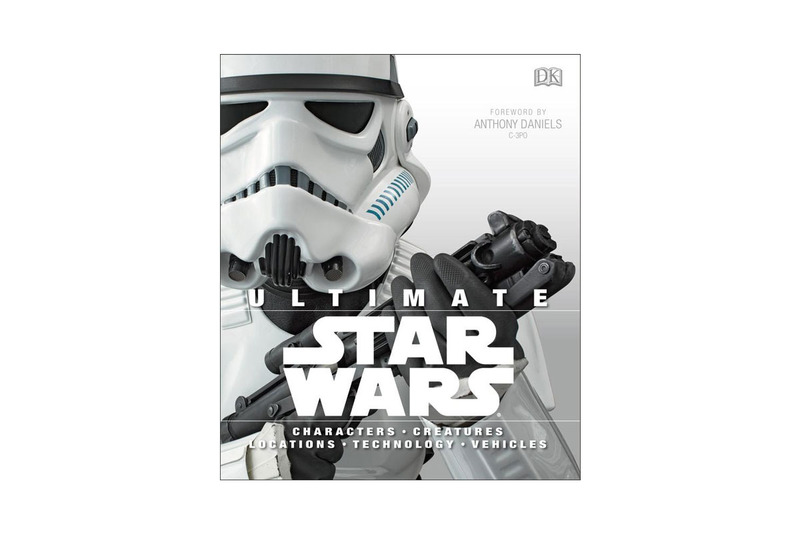 For 25 bucks, batteries included, nobody will ever have to make a fake stormtrooper voice again. Comic Cons are forever changed. 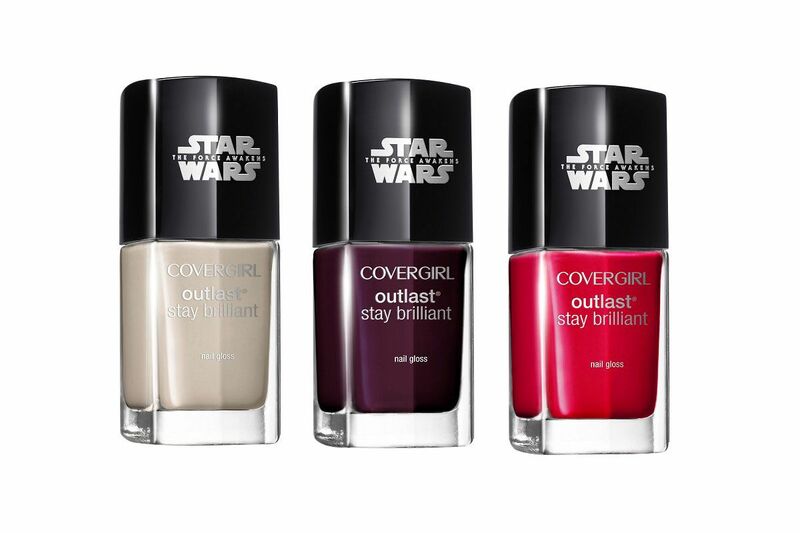 When The Force Awakens came out, CoverGirl released an entire line of beauty products. Start with this trio of nail polishes: Speed of Light, Nemesis, and Red Revenge. 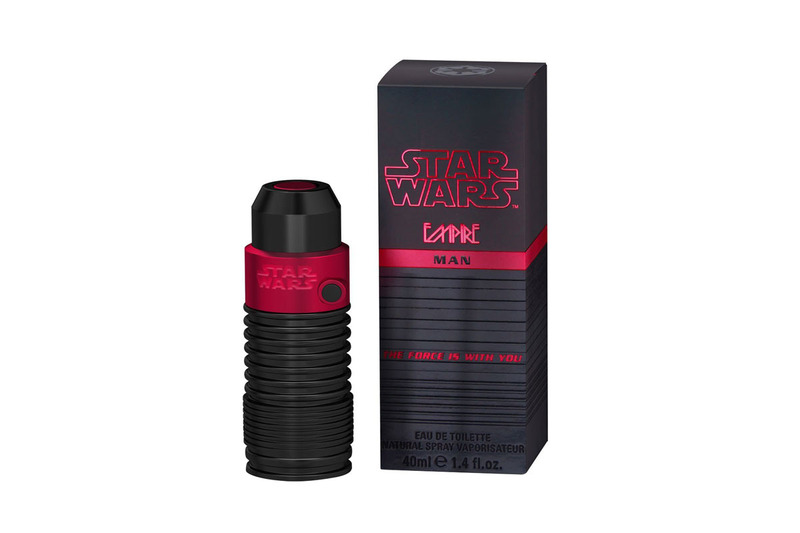 The descriptions of these sprays include the following phrases: “Top notes strike futuristically,” “Lightsabers are centers of total power and ‘Imperial luxury,’” and “Gold and white design represents strong femininity.” Do with that what you will. Make someone feel like they have a little droid helper. 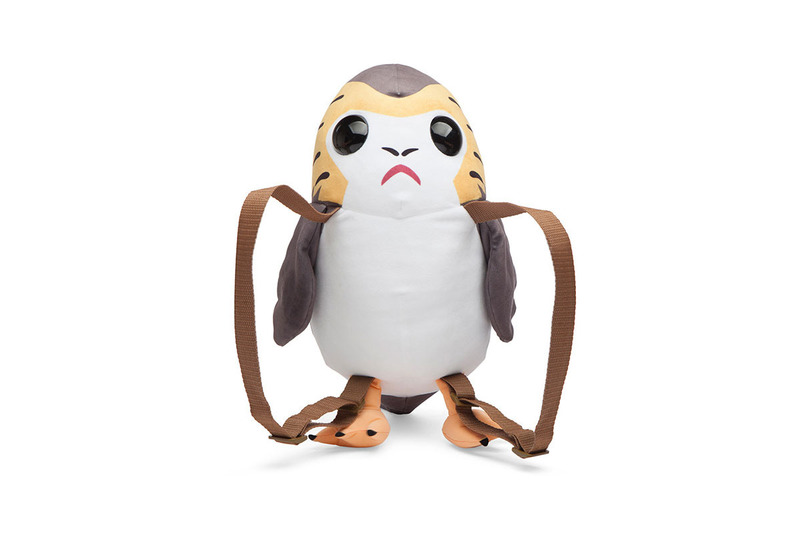 Or, if you’re feeling a bit more badass and stylish, you can spring $600 to gift this designer Rey backpack. 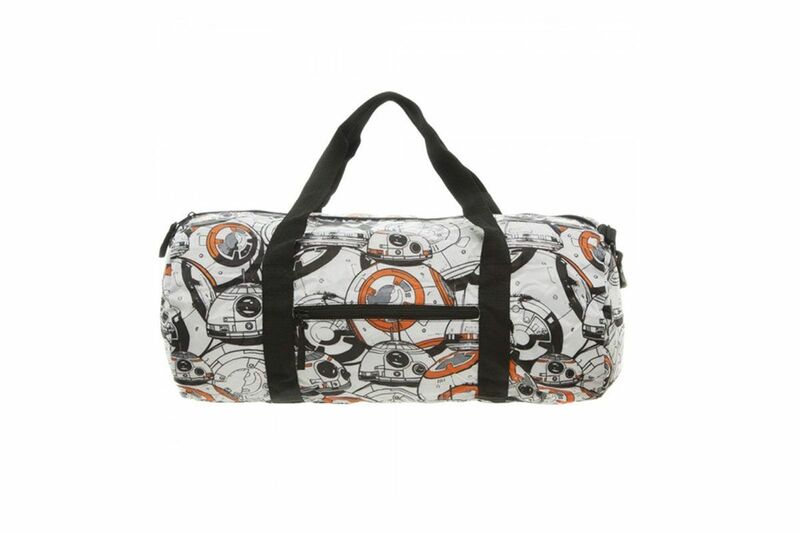 Or, for $48, there’s a Boba Fett with this laptop bag. There’s no super laser to shoot out salt and spices, but these ceramic shakers sure look cool on a dinner table. Unless you’re opposed to playing with your dinner, how could you resist dining with these lightsaber chopsticks that actually light up? 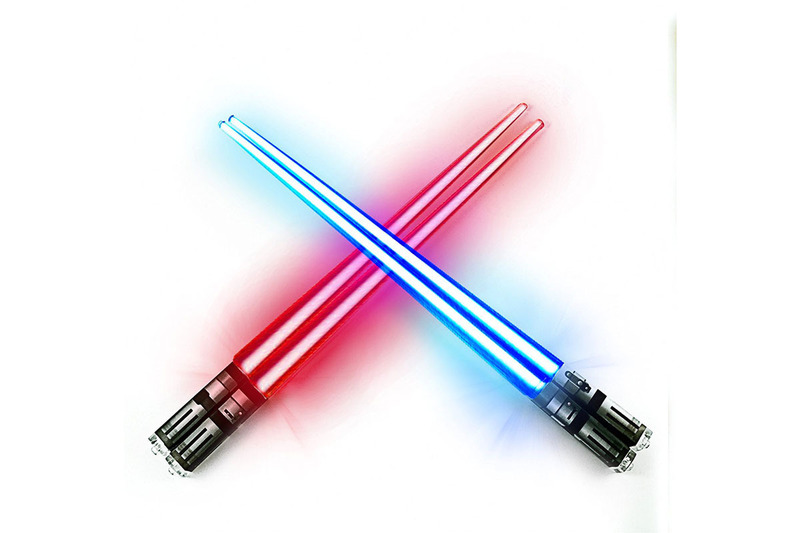 The only difficult choice: Should you pick Skywalker blue or Vader red? Unlike the chopsticks, these stainless steel and plastic utensils don’t light up. 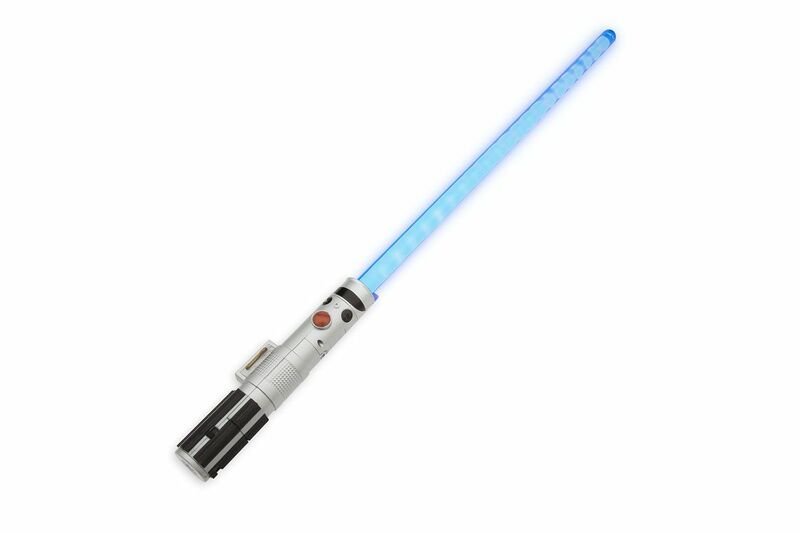 On the plus side, they represent the hilts used by Vader, Luke, and Yoda. Note: If the giftee isn’t eating alone, you’ll need to order more sets — each one only comes with a single spoon, fork, and knife. When you are serving appetizers, guests will be impressed by this detailed Millennium Falcon platter. Just be sure to wash it by hand, or else it’ll end up with wear and tear like the actual Falcon. These ceramic bowls are some of the most stylish Star Wars home goods out there. If you want the complete set, matching dinner plates, appetizer plates, coffee mugs, pint glasses, and soup bowls are also available. Raise a pint of blue milk with Vader, Yoda, a stormtrooper, and fan favorite Boba Fett. Much like the Death Star destroys planets, a spilled bottle of wine can destroy a pleasant evening, so remember to use this metal stopper. Your wood table probably doesn’t have a deflector shield, but these coasters will do the trick. We’ve never seen the galaxy’s greatest bounty-hunter knock back a cold one, but fans will feel great imbibing from this 22-ounce stein. 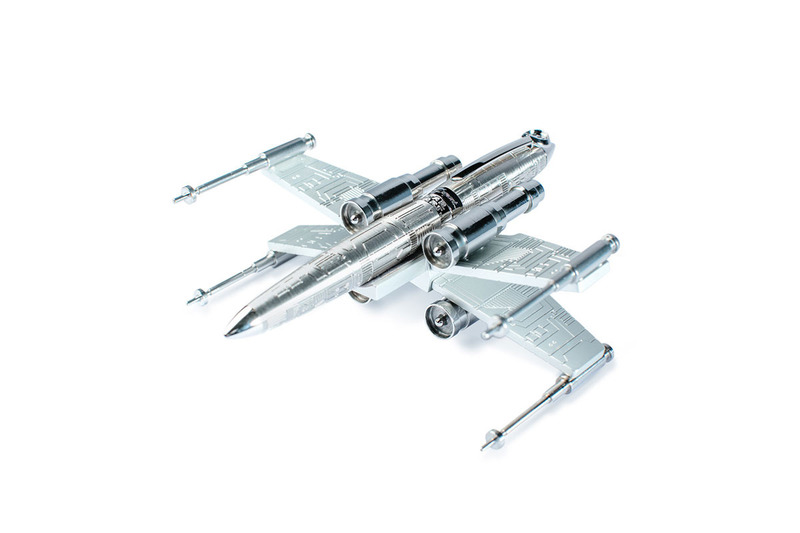 It’s also available in R2-D2, Chewbacca, and Vader models. Remember how scary it was seeing Vader’s black mask for the first time, and then how wild it was seeing him take it off? Well, now you can eat chips and dip out of it, thanks to this replica tray. 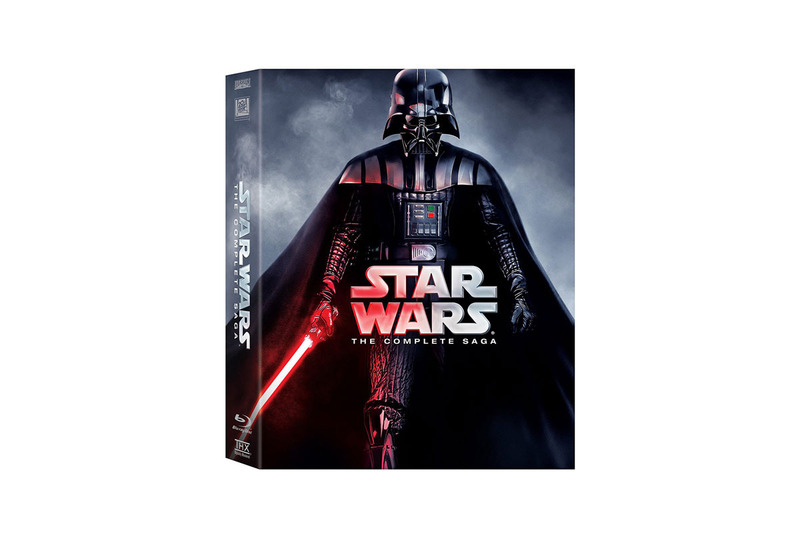 Give someone the gift of reliving the iconic Vader scene from the first film during dinner. Or, if that’s not appetizing enough, go for the version featuring the Luke vs. Wampa segment from Empire. You can’t Force-choke anyone who gets in your way in the kitchen, but this right-handed silicone mitt lets chefs grab pans and dishes as hot as 445 degrees Fahrenheit. Five temperature settings let you whip up Darth Vader waffles at the desired level of crispness. The loyal droid makes a sweet bowl of popcorn and stands just over a foot tall. If you’re more into the dark side, there’s also a Death Star model. This Darth Vader corkscrew looks really cool and opens your finest wines with ease. Yet another cute piece of droid merch, this ceramic set features a 12-ounce teapot and a 6-ounce cup that can be stacked for convenient storage. “Do I prefer the light or dark side, or rectangular or circular cutting boards?” Ask yourself this question before picking one of these glass cutting boards. Pizza lovers, take note: This slicer features the hilt of Darth Vader’s lightsaber and makes a noise just like it. 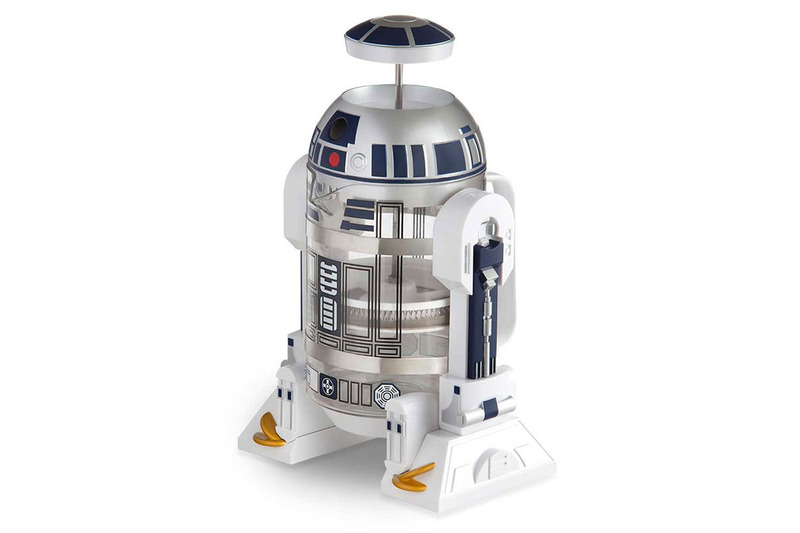 This set has four stackable cups, and R2-D2’s arms also detach into four separate measuring spoons, making it a great item to leave on a countertop. Another great kitchen gadget, this R2-D2 French press brews up to 32 ounces of coffee and has a handle and spout for easy pouring. Want to watch the Death Star slowly melt while enjoying a beverage? This ice mold is sizable enough to fill out a lowball glass, and perhaps a few refills of your favorite liquor. “He should be quite well protected. If he survived the freezing process, that is.” Han’s icy fate is sealed when people use this mold, but it beats taking a lightsaber through the gut. For some toast to go with the waffles, this Vader-themed gadget burns the Star Wars logo into slices of bread. 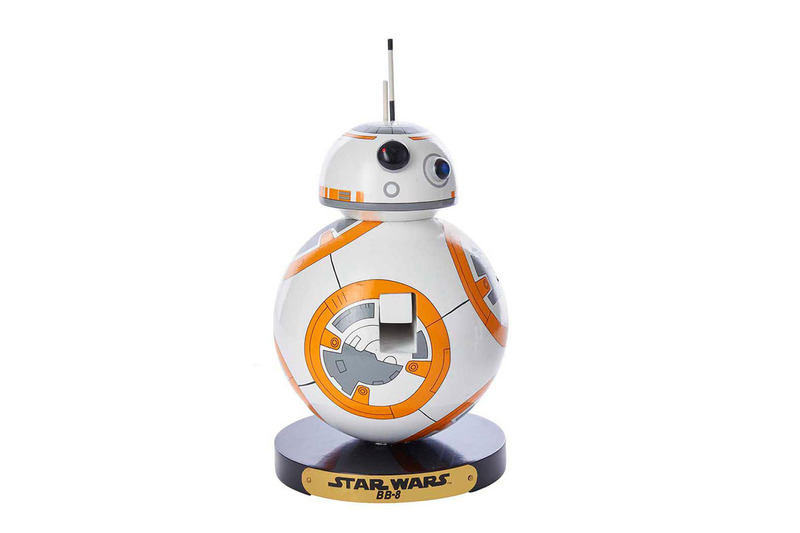 Rather than merely ring to let you know your food is ready, this BB-8 timer lights up and makes its signature bleeps and bloops. You might find yourself turning it on just to watch it go. These seven containers vary in size from 4 to 25 ounces, ensuring you’ll be able to store any leftover meals or snacks. If you’re craving ice pops, this tray makes up to four of them, featuring the lightsaber hilts of Luke and Vader. It’s got all the makings of a delicious, messy duel. This beechwood rolling pin has a laser-cut design, which is great for making batches of Star Wars cookies that feature the cartoonlike faces of main characters and droids alike. 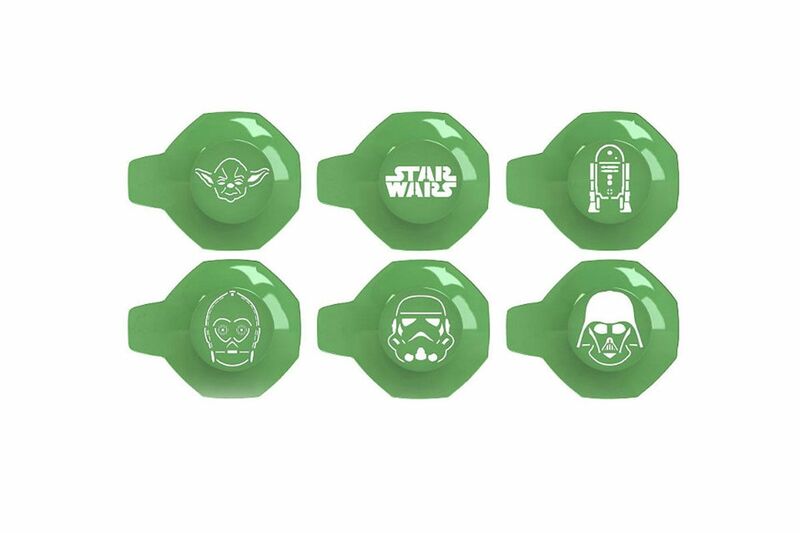 Your baking-savvy friends can decorate desserts with Yoda, Vader, etc., and then place them in these themed baking cups. 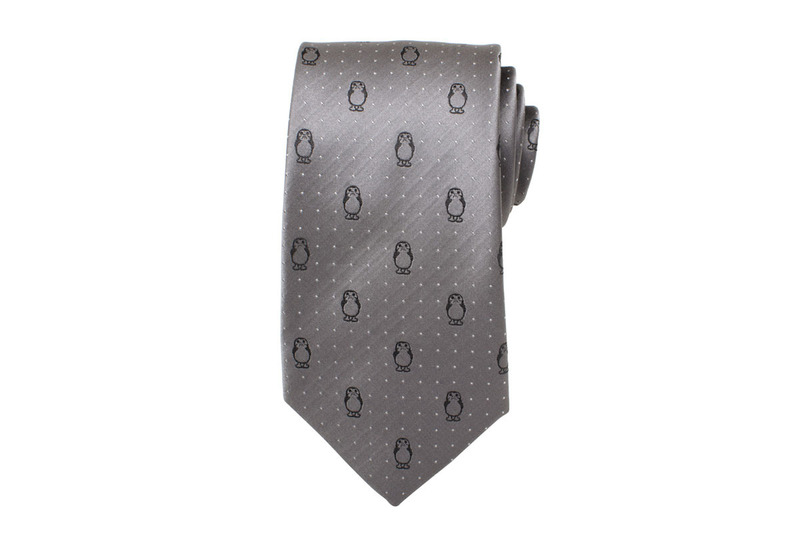 Geeks can be refined, too! Add a little Pop Art to your living room with this Death Star–inspired take on Robert Indiana’s famed sculpture, and maybe accent it with this Chewbacca pillow. Compatible with most Bluetooth devices that stream music and take calls, this iHome speaker also plays the Star Wars theme, lights up, and makes BB-8’s adorable squeaks. Perfect for a couch, chair, picnic, or concert, this 40-inch by 50-inch raschel polyester blanket has great throwback-comic–style renderings of our heroes and villains. Designed to hold kids weighing up to 100 pounds, this soft, plush Chewbacca chair also comes with a leatherlike satchel on the side for storing other Star Wars gear. A pleather Darth Vader model is also available. 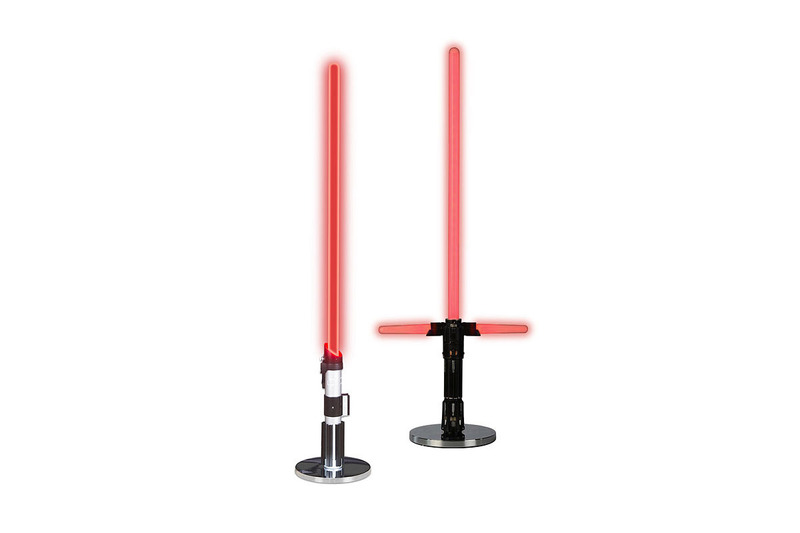 Standing 31-and-a-half inches tall, Kylo Ren’s replica lightsaber is a great way to brighten up your end table or desk, unless you really hate red glowing light. 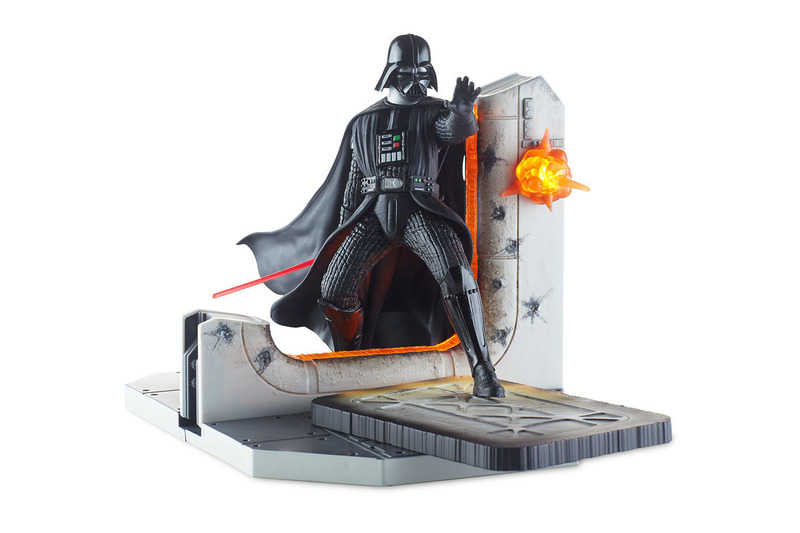 It also comes in a Darth Vader model. The 12-liter fridge holds up to 18 cans, which makes it perfect for a living room or home theater where you’ll be watching the films again. It’s especially cool for dark rooms, given its exterior LEDs that resemble the orange lighting from Empire. This fridge is even great for tailgating: When plugged into a car adapter, it can either cool or heat its contents. A four-liter micro-fridge is also available. 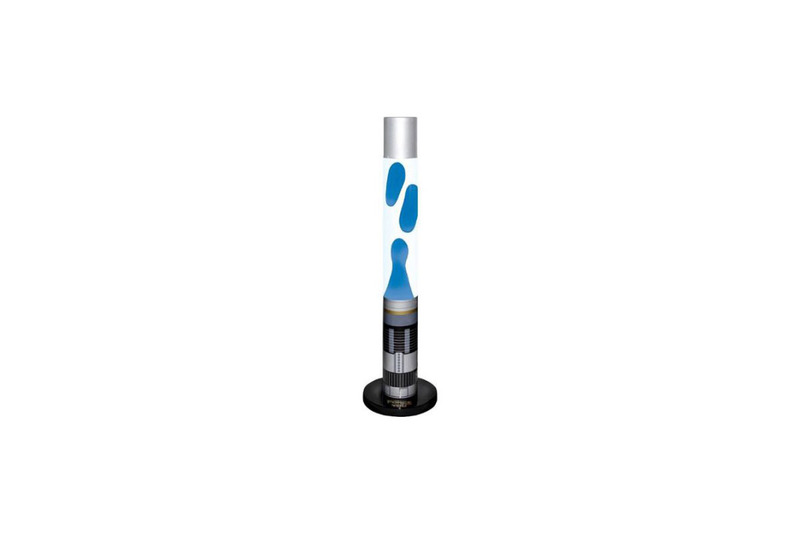 If you’re looking for a retro lava lamp, check out this one made to resemble Obi-Wan’s blue lightsaber. Just be sure to heed the instructions — it gets extremely hot if it’s left on too long. There are a lot of jokes to be made about our wookiee pal being a “walking carpet,” so just know that this soft item can be found in two sizes: six feet by three feet, or eight feet by four feet. With this rug, you’ll never need to slice open a tauntaun to stay warm. The head is made out of a plush pillow, the claws are made of vinyl, and it’s made to not slip, so it’s a perfect area rug to put in front of the fire or TV. Made from an old vinyl record that’s cut to resemble the shapes of your favorite characters, the clock can actually be customized, so get cracking on making your clock unique. The rules are the same. The setting is A New Hope. Players will want to land on “Death Star Destroyed” and “Medals for Heroes,” the equivalents of Park Place and Boardwalk. There’s also a new version of Trivial Pursuit that includes canonized questions through The Force Awakens. We don’t know how the little bird-mammals will act in the film, but this electronic toy, with its chirping and flapping wings, is supposedly a good imitation. 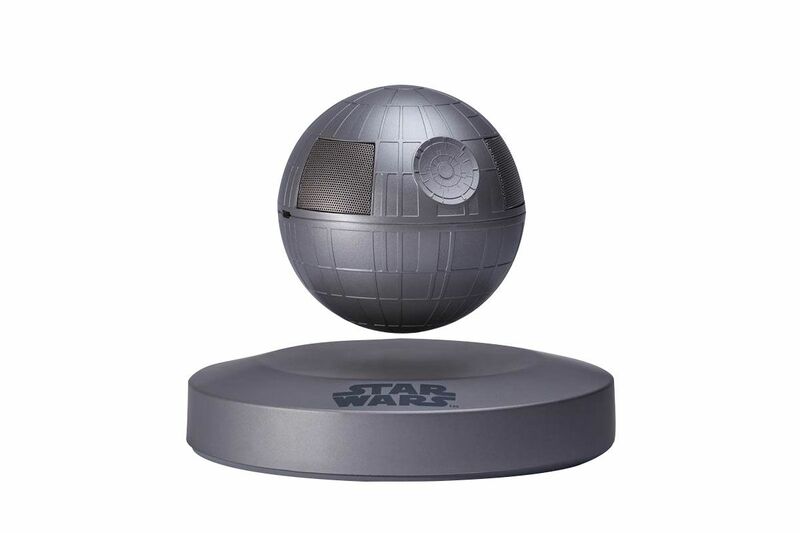 Using a magnetic field, this Bluetooth Death Star speaker literally levitates as it plays your favorite tunes and podcasts. Feel free to do the Force-choking motion as you make it rise. 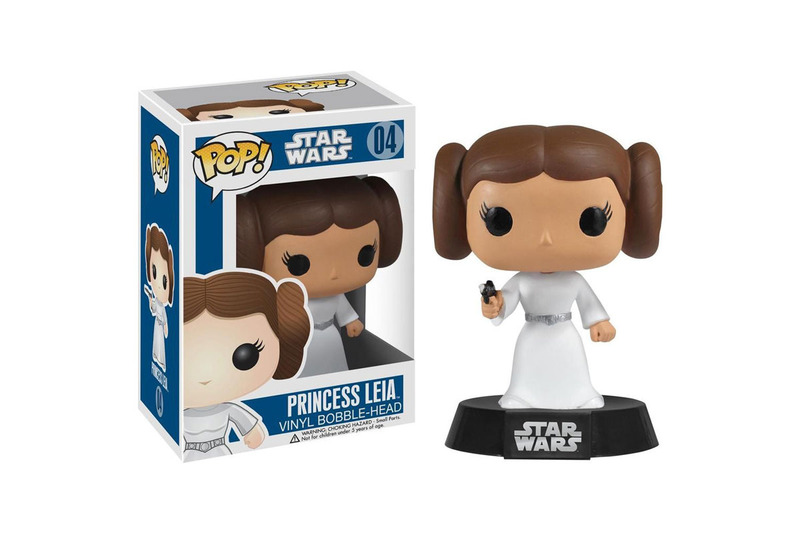 There are Funko dolls for nearly every popular character, but if you have to choose one, why not make it the Princess? You can go for the classics, or the newest hero’s saber. 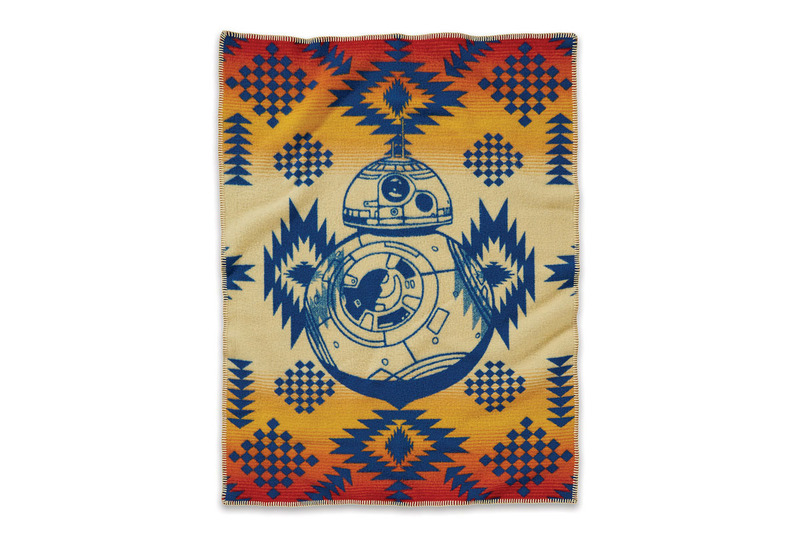 We’re betting kids and adults alike would love to snuggle up with BB-8 in this retro woven wool blanket. A flashy office accessory that doubles as a fun toy. The pen itself has a 14-karat gold nib, or you can opt for ballpoint and roller-ball versions. 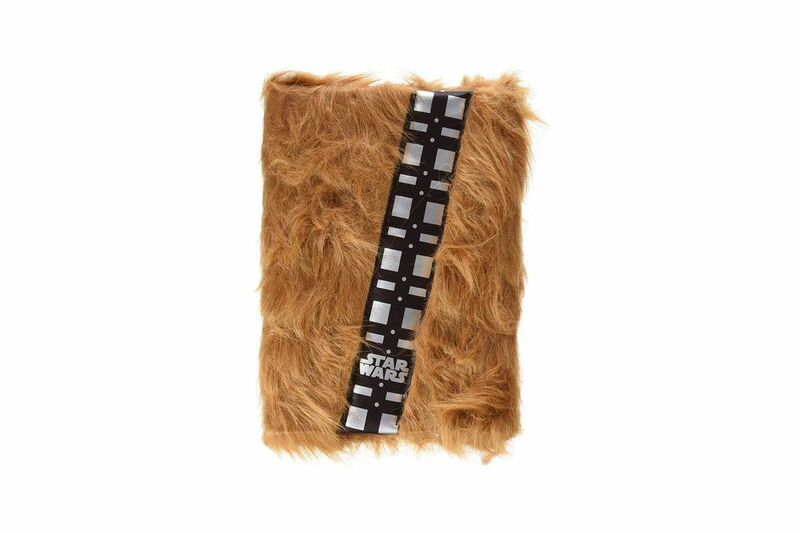 This 100-page notebook comes ensconced in a furry, wookiee-style covering, complete with a bandolier. 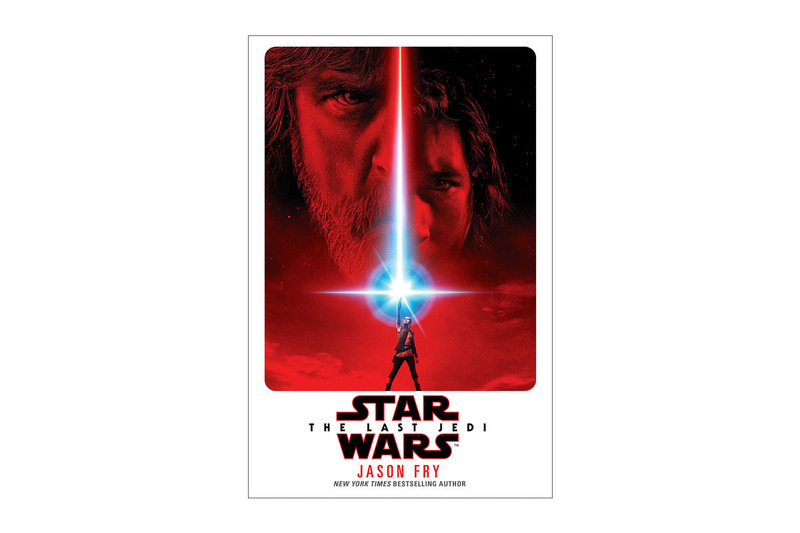 The latest canonical installments come in book form with novelizations by Jason C. Fry, who’s also written a number of guides and novels set in the Star Wars universe. To go deeper, there’s James Luceno’s Catalyst: A Rogue One Novel, a prequel to the latest prequel, and the graphic novel version of that film. Filled with gorgeous photos and plenty of behind-the-scenes info. The casual fan might not recognize his name, but McQuarrie is responsible for the design of Darth Vader, Chewbacca, R2-D2, and many other iconic characters and settings from the original trilogy. This collection of his conceptual art is absolutely fascinating. 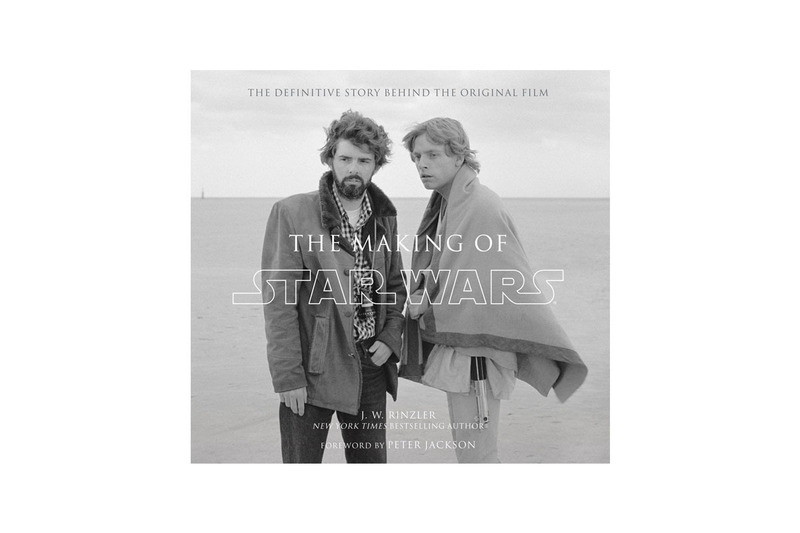 Anyone feeling intrigued, or a bit overwhelmed, by the canonical backstories that lead to the events of the films and the book and television tie-ins can get up to date with this comprehensive book. Until the next movie, anyway. So it’s not quite “complete,” but this nine-disc set includes Episodes I to VI, with bonus discs featuring deleted scenes, audio commentary, interviews, and much more. 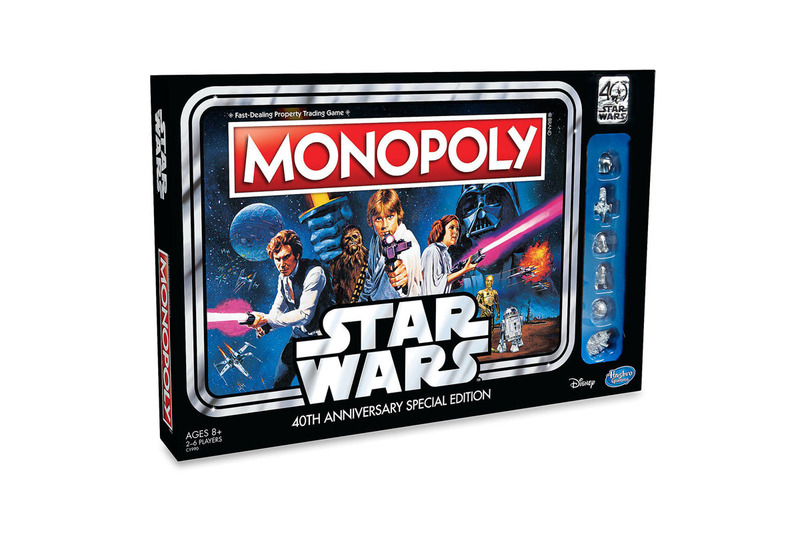 This Marvel-published set includes hardcover comic book adaptations of all seven movies, plus offshoots involving many of the main characters from the original trilogy, a canonical Force Awakens prequel, and a poster. They’re no longer canon, but Timothy Zahn’s three novels, which follow the events of Return of the Jedi, are widely beloved. 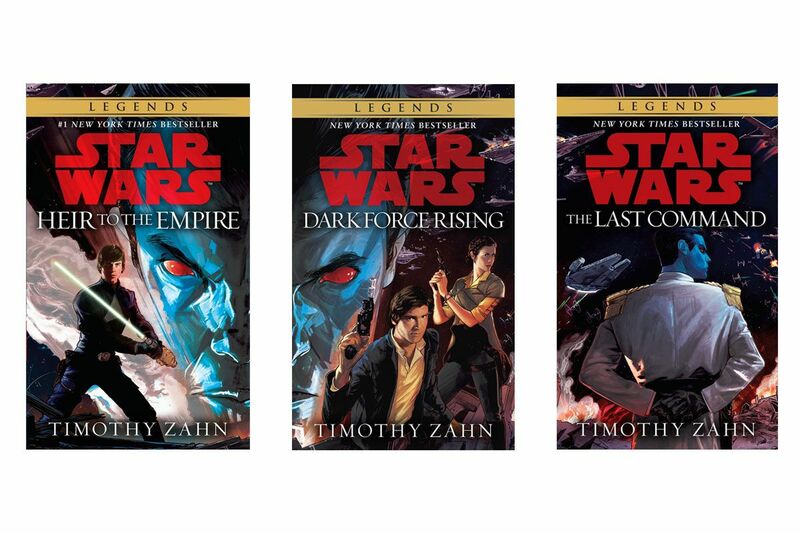 The high point of the “Expanded Universe” of books, comics, and memorabilia, now rebranded as “Star Wars Legends,” the Thrawn books are an entertaining detour from everything that’s happened since George Lucas left the franchise. 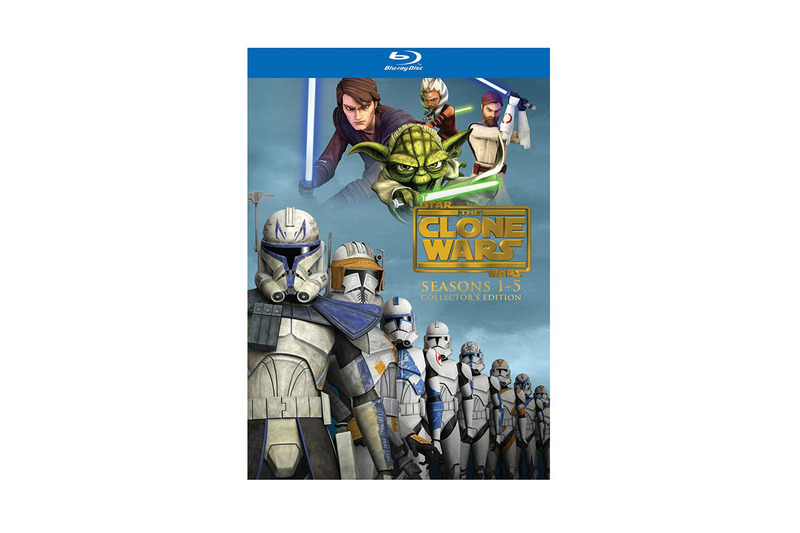 The animated series offsets many of the prequel trilogy’s flaws while furthering the story. 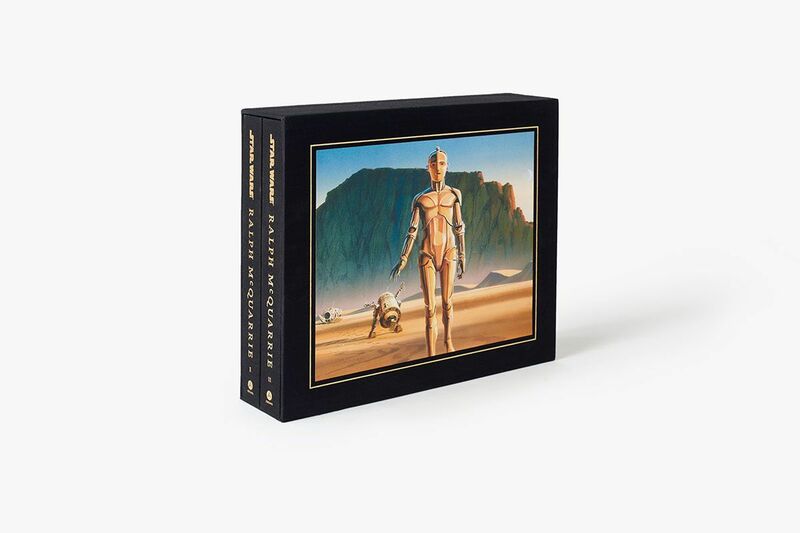 This set features 14 discs, a 54-page art booklet, and additional making-of video segments and commentary. Thanks to its simple design, visitors might not notice this Force Awakens joke at first glance, making the payoff even better when they finally get the reference.